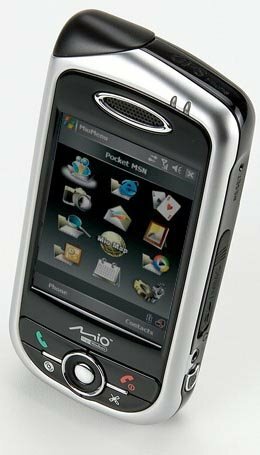 Stuart Miles has reviewed this GPS smartphone from Mio, the A701 GPS mobile phone. It's great for those looking for more than just a phone with a supped up address book, but not looking to go the whole hog with a PDA QWERTY keyboard styled device. Nicole Lee has reviewed this mobile phone from Motorola, the H700. 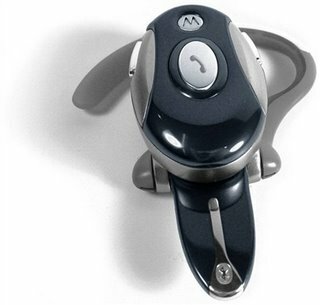 The best feature on the Motorola H700 is its PowerFlip foldable microphone, she says. Combining a sleek and sophisticated internal-antenna design with a wide array of advanced mobile features, the mid-tier Nokia 6175i fold-style phone is positioned to appeal to wireless customers wanting a stylish, well-featured mobile phone that is intuitive and pocketable. The integrated 1.3 megapixel camera introduces to the Nokia CDMA portfolio a full-screen portrait viewfinder that takes full advantage of the 262,000 color 128 x 160 pixel TFT internal display. High-resolution images and videos, digitally zoomed up to 4x, can be sent via multimedia messaging on compatible networks or transferred to a PC using Bluetooth technology or an optional USB cable. Photo printing is simplified with the inclusion of PictBridge compatibility, ensuring easy connection to a variety of PictBridge-enabled printing devices. Consimers can stay plugged in to their music with a built-in stereo FM radio or by streaming audio and video in a variety of formats. The Nokia 6175i phone also supports a variety of location-based services that utilize its integrated GPS receiver. Only 3.4 ounces, the Nokia 6175i phone offers up to 3.5 hours of digital talk time or up to 14 days of standby time. The Nokia 2865/2865i phone is a new entry-tier monoblock design that combines a contemporary sleek form with a well-appointed set of features selected to satisfy the needs of today's mobile customer. The 262,000 color 128 x 160 pixel screen can be used to show off the latest downloadable wallpapers, themes, games and applications, while the built-in FM radio and real-sound ringtones supporting MP3, AAC and other file types let owners express themselves through music. The push-to-talk capable Nokia 2865/2865i phone also features an integrated speakerphone and Bluetooth technology to allow convenient connection to a wide variety of compatible accessories and other devices with Bluetooth technology. Weighing under 3.5 ounces, the Nokia 2865/2865i provides up to 4 hours of talk time or up to 14 days of standby time. Featuring an uncommonly compact profile for a value-priced handset, the Nokia 2365i phone includes an attractive list of features designed to position it a step above most entry tier CDMA phones. Along with integrated Bluetooth technology and hands-free speakerphone, the fold-style Nokia 2365i phone includes a large 128 x 160 pixel color main display complemented by a high-visibility 96 x 65 pixel blue/black external display. A built-in FM radio connects owners to music and news, and the Nokia 2365i phone can be easily personalized with built-in graphics and unique polyphonic ringtones. A mere 3.7 ounces, the Nokia 2365i provides up to 4 hours of talk time or up to 10 days of standby time. When Nokia engineers were tasked with designing a sleek, fold-style handset that did not compromise on quality, ease-of-use, style or features, they took up the challenge and delivered a product that changes the conventional wisdom that a slim phone cannot be as powerful as it is beautiful. Today, Nokia unveils the result of this engineering challenge, the quad-band (GSM/EDGE 850/900/1800/1900) Nokia 6126 phone. Featuring a graceful tapered design that averages a mere 17mm (.67 inches) from top to bottom, it still manages to deliver a wide range of the most desired mobile features which are easily accessible via Nokia's hallmark intuitive user interface. The Nokia 6126 phone is expected to be available in North American markets during the 2nd quarter of 2006. Along with its slim, tapered profile - the Nokia 6126 phone is also just 48mm (1.9 inches) wide and weighs in at a featherweight 112 grams (3.9 ounces). While these compact dimensions make the Nokia 6126 phone easy to pick up, the luxurious soft-touch finish makes it equally hard to put down. Besides the soft-touch black finish, the Nokia 6126 phone can also be found in silver with white, beige or red accents. For an added touch of fun and convenience, the Nokia 6126 phone also integrates a push-to-open button into its design. Located at the edge of the hinge, the button, when depressed, allows the phone to automatically glide into the open position. This not only makes for convenient one-handed operation, but satisfies the desire to create a level of 'phone envy' among friends. A full suite of the most popular features has been engineered into the Nokia 6126 phone. To enjoy music on the go, the Nokia 6126 phone includes a digital music player that supports a variety of formats including MP3, AAC, AAC+ and eAAC+. With an optional 1 GB microSD card, approximately 1,000 songs can be stored on the hot-swappable memory card and enjoyed using an optional wired stereo headset, or for the ultimate in convenience, through an optional wireless stereo headset using Bluetooth technology. Quad-band GSM/EDGE technology allows the Nokia 6126 phone to be used on virtually all GSM systems around the world (subject to operator roaming agreements), while Nokia's industry benchmark RF engineering maximizes performance to get the most out of these global networks. The integrated 1.3 megapixel camera includes 8x digital zoom and a full screen portrait mode viewfinder that lets users see exactly what they are capturing. In video mode, the Nokia 6126 can capture video clips that can be saved, sent, or used as video ring tones on both the internal and external displays. Additional features include streaming audio and video support, built-in 3D games, including a 3D version of the classic 'Snake' game, local and remote synchronization of contact, calendar and to-do lists and enhanced voice features including speaker-independent name dialing. The Nokia 6126 phone implements the all-new third edition of Nokia's popular Series 40 user interface. This user interface builds upon the intuitive menu structure that has made Nokia Series 40-based handsets perennial best-sellers around the world. It also adds 'Active Standby Mode', which allows the idle screen to keep owners informed of calendar and to-do items and to provide quick access to the most-used applications. To make this powerful functionality easily accessible, the Nokia 6126 phone includes the latest in human interface technology. The main display features an ultra-crisp 2.2 inch 16.7 million True Color TFT 320 x 240 pixel QVGA display to make icons, text and images incredibly sharp and true-to-life. The external display is a full 262,000 color 128 x 160 pixel screen - which delivers even higher quality output than the main display found on many phone models. For fast, accurate data entry, the Nokia 6126 phone employs a unique dual level keypad that uses a raised area on each key which allows for the largest possible key size, yet still delivers a natural space between keys for a positive tactile response. The latest Nokia GSM handset, the Nokia 6126 phone, boasts a full feature set with music, design and imaging. This quad-band (GSM/EDGE 850/900/1800/1900) has a 1.3 megapixel camera, music player with removable memory available via hot-swappable card, Bluetooth, video ring tones, and a large 16 million color screen display - all wrapped in a thin, sleek package. With the addition of three new CDMA handsets, Nokia's range of CDMA products continues its growth across all consumer segments with a variety of designs at multiple price points. The ultra compact and sleek new Nokia 2365i entry-tier flip phone features a large internal display, striking blue-on-black external display, extended talk time and Bluetooth technology. The Nokia 2865/2865i phone is an elegant and stylish monoblock design with a large color display, Bluetooth technology, internal antenna and FM Radio. With a slender, compact fold design, the Nokia 6175i is a new mid-tier flip phone with a 1.3 megapixel camera, Bluetooth technology, internal antenna, large color display and stereo FM radio. 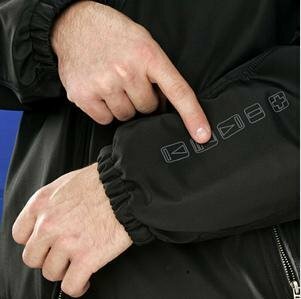 Macmove has reviewed this Jacket which is really cool for those who doesn't com out without there iPod. One of the biggest problems for college students these days is not whether or not to ditch class, but how to wear and protect their iPod when they are on the move. Boy, did the Kenpo iPod Jacket come at the right time. 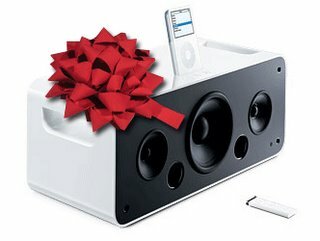 You will never have to bring your iPod Armband with you unless you are going to the gym. 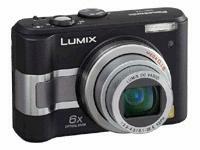 Shans Tarek has reviewed thsi digital camera from Panasonic, the Lumix DMC-LZ5K. It fares moderately well in bright environments. Nicole Lee has reviewed this mobile phone from LG, the F9200. 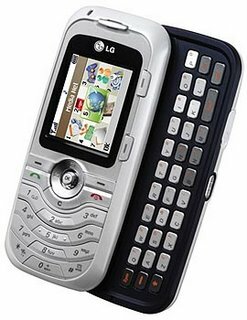 Kent German has reviewed this mobile phone from LG, the CU320.